You don’t have to be an adult to enjoy everything the Kaw river has to offer – or to take part in caring for the Kaw! 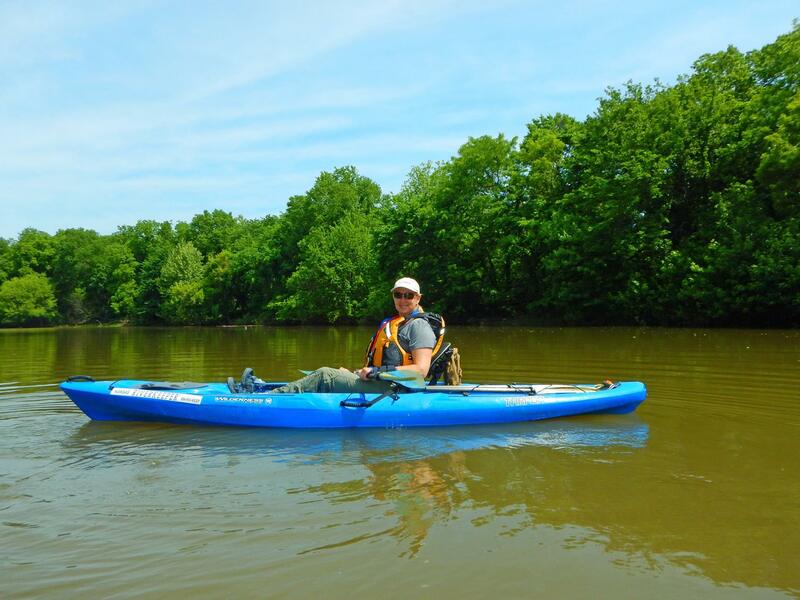 Several factors affect the health of the river, and by learning about them and helping to reduce people’s negative impact on the Kaw you can help preserve it for future generations. Also consider: Careers for Clean Water: Professionals Who Bring Potable Water to Communities in Need. 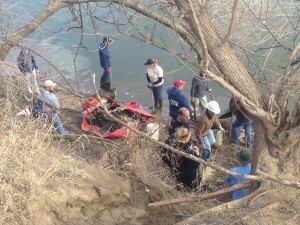 So what kinds of things are a danger to the Kaw? When you paddle down the Kaw you see a lot of pipes draining into the river. Ever wonder what’s at the other end of those pipes? Or what’s coming out of them? What’s coming out of those pipes is the waste water from our every day lives: water from sewage treatment plants, power plants, and factories. Water that enters the river from an identifiable location is called point source pollution, or “end-of-pipe” pollution. When water is discharged into the river, the amounts and types of pollutants that are allowed to come out of the pipe are regulated by the Environmental Protection Agency under the Clean Water Act. 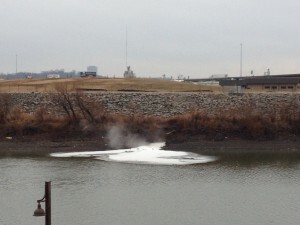 If you are worried about what’s coming out of a pipe into the river, contact the Kansas Riverkeeper to report pollution and she will investigate if any laws are being broken. One of the jobs of the Riverkeeper is to enforce the Clean Water Act and help you make sure the river isn’t being polluted. Water that flows over your lawn and down your driveway during a rainstorm makes its way to the river. It may flow directly into the river (not out of a pipe). Rain water picks up pollution by flowing over lawns that have been sprayed with fertilizer or pesticides. This is called non-point source pollution. 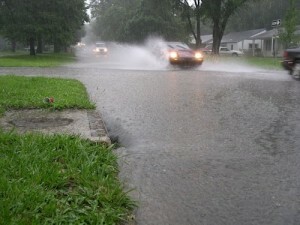 Another common term is “stormwater runoff”. Stormwater runoff is the biggest cause of water pollution in the U.S. and it is one of the hardest to control. Imagine how much motor oil is washed in the river during a storm—you have hundreds of neighbors with cars that leak small amounts of oil onto driveways and streets in your neighborhood, each contributing a small amount of pollution. When it rains that oil is washed away by the water flowing down the street, and from there to the river. How do you control thousands of little sources of pollution? We all have to work together to control stormwater runoff. It is something we all contribute to and something we can all help to control. We all hate seeing trash in the river, but did you know that anything you throw onto the street can wind up in the Kaw? It’s true – all sorts of things wash down storm drains and straight into the river, including plastic bags and plastic bottles. Please don’t litter, and tell your friends it’s a nasty habit to have! Everybody, especially the fish, frogs, birds, and other critters that live in or near the river will thank you for it. If you would like to join us for a river clean-up, please contact the Riverkeeper to find out when Friends of the Kaw will be conducting a clean-up day.